I have been sick all week with a bad cold and cough. Whenever I am sick I miss my mom’s chicken noodle soup, but since she is not here to make it for me, I had to make it for myself. What’s better than a warm bowl of chicken soup when it’s cold outside and you don’t feel good? Nothing, 🙂 This sopa de pollo y pasta was absolutely delicious. Place the chicken in a medium pot and add the chicken stock. Bring to a boil and then reduce the heat to low. Add the rest of the ingredients, except the pasta and cilantro. 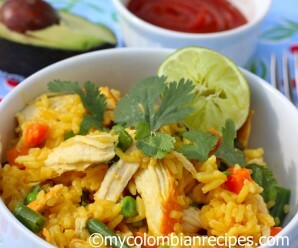 Cook for about 45 minutes or until chicken is completely tender. Remove the chicken from the pot and take the meat off the bone. Discard the bones and set the meat aside. Add the pasta and cilantro to the soup. Cook for about 8 minutes more. 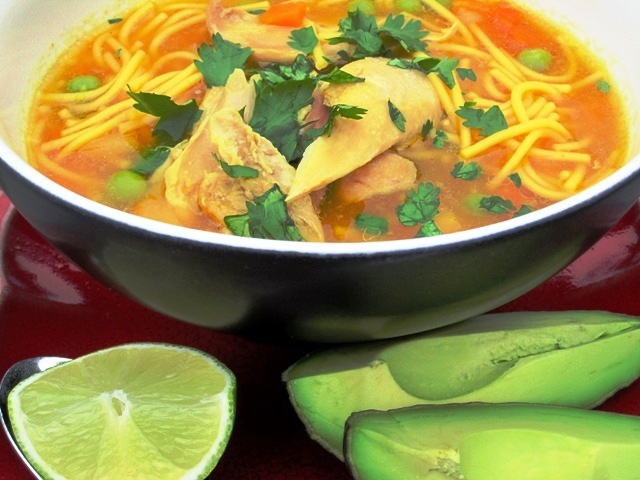 Return the chicken to the pot and serve hot with lime and avocado on the side. What a beautiful post. What a lovely soup. I put a link to it on my Comfort Food page! PS I f you don’t want it there, let me know and I will take it off. yummy yumm chicken soup..Love the color.perfect for the climate here..
Get well soon Erica! I want a bowl of hot soup whenever I’m sick too. 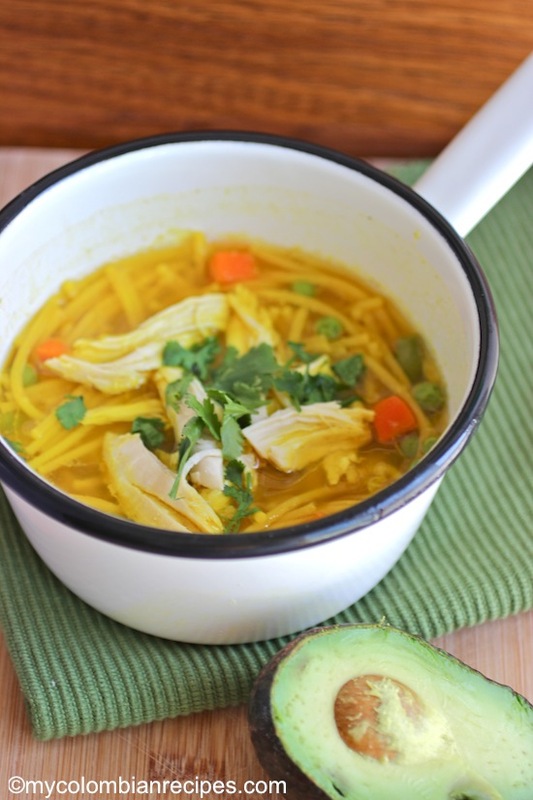 I have been making simple chicken noodle soup for weeks now but I must try this next time. I love the idea of adding lime and avocado at the end–two of my very favorite garnishes. Then again, I think they go with pretty much everything. Mmm, this looks so good! We’ve been eating a lot of soup so far this winter, but I haven’t made chicken noodle yet! What yummy looking soup, I hope it did the trick and you are feeling better. Not sure what the weather is like where you are, but it is cold and damp here, the kind of weather where chicken soup is a must! I’m sorry you’ve been sick! 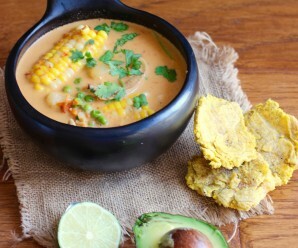 It has been so cold lately even here in CA and I’ve been craving soup every night too! 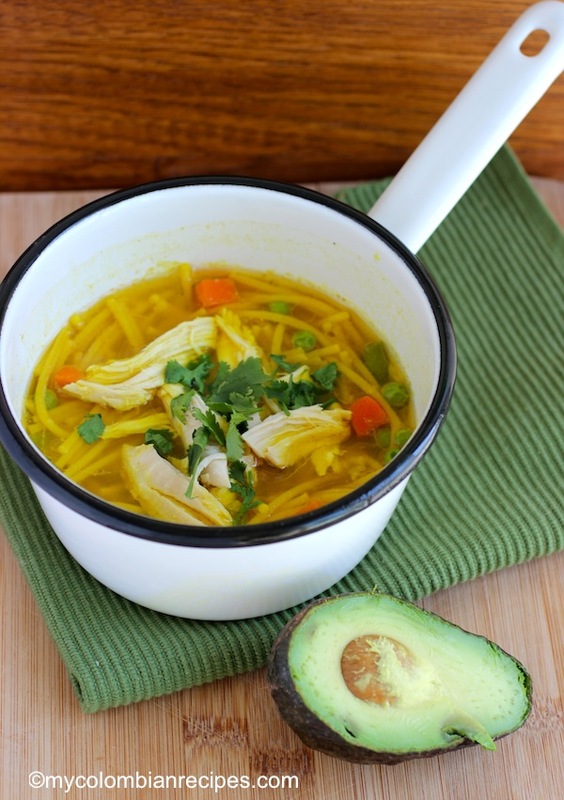 Your chicken noodle soup looks so beautiful! I still haven’t made homemade chicken noodle soup – I know, I’m lame! I will have to save the recipe so I can make it one night. 🙂 Feel better soon! Nothing like chicken soup to help clear a cold or make the flu feel better. Hope you are 100% again very soon. This looks delicious, and slightly different to how we make it. Interesting recipe. Hope you feel better soon. 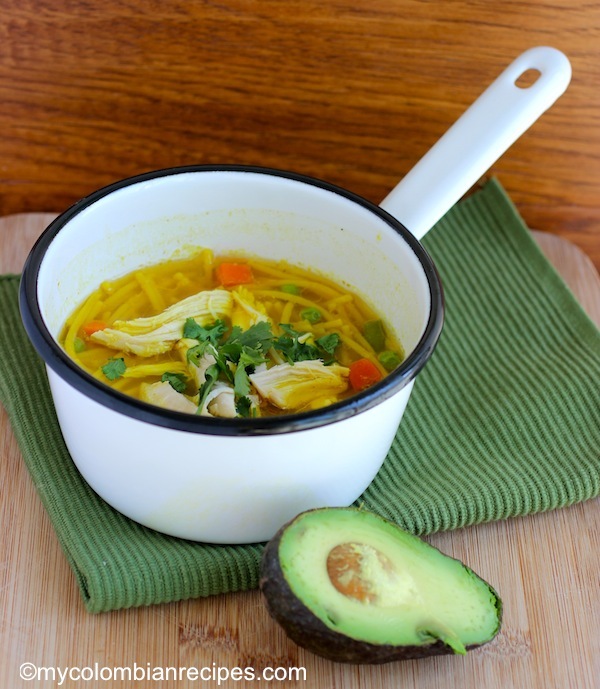 Enjoy the chicken soup and recover fast. OH YUM! I’d love a bowl of this soup on a cold day like today! Thank you guys for the wonderful comments! I appreciate it. That achiote makes everything look so delicious. That soup is a thing of beauty! What kind of lighting did you use and did you up the saturation? Looks great. Chris- Thank you! I use natural light. Hope you are feeling much better now. 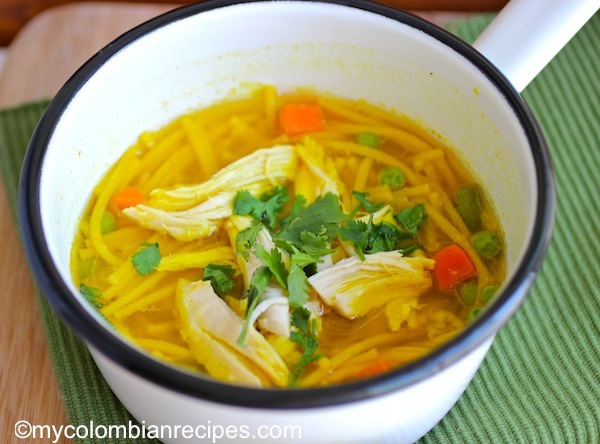 Chicken soup is the best medicine for colds and love the way you have prepared it. Thank you so much for this recipe! I made this soup for dinner tonight to the delight of my husband and daughter. Everyone had two bowls….Thanks again and I hope you are feeling much better today. Noni- Thank you so much for the feedback! the soup looks warm filling and delicious; hope you get well soon!!! 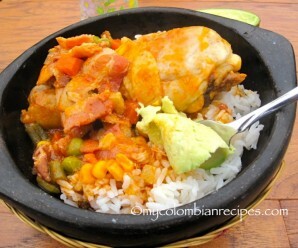 I am from Colombia and I am ashamed to tell you that I don’t know how to cook, but I am willing to learn. That’s one of my new year’s resolutions. I will be visiting your blog often. Everything looks muy rico, especially the hot dogs,,, OMG. Ya me dio hambre. Amelia- Use the sazon goya with azafran. This looks beautiful, with the achiote and cilantro, how special. Thank you for the recipe. just love this website. 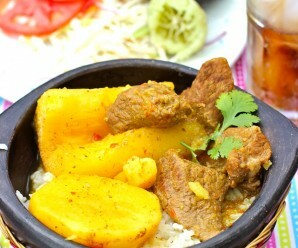 thanks for the wonderful colombian recipes. Fantastic as always!!! Your recipes never fail me! I married into a Colombian family and you sure help make me look good! 🙂 Thanks so much for doing what you do!!! This is much like Sopa Picadillo that we have here, which uses fideo (angel hair pasta,) a chopped hard-boiled egg and either pieces of cooked chicken or pieces of jamon iberico (Iberian ham). The starch may be replaced (according to taste) by pieces of boiled potato or large croutons. It is my first choice as a starter when eating out as is arroz con leche as a dessert.